Posted on February 20, 2014 at 9:00:00 am by Wendy S.
One of the hardest things to find when you move to a new city or are having an extended visit is the right hair salon. It may seem silly to some, but to most women and a lot of men, making that connection is tantamount to finding “the one.” I mean, come on, who knows you better than your hair stylist? Yes, you could go to a bargain-priced hair cut chain, but let’s be honest, you go to your stylist not only because he or she really knows how to make your hair look its best, but also because you enjoy the gab time! So, I asked around and found out which of the salons in Fort Wayne are the best. And I’m not ashamed to admit that I’m putting my own fave right at the top of the list. 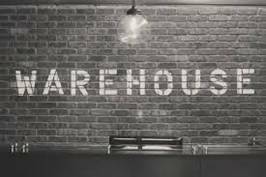 Located on the bottom floor of an old building downtown, The Warehouse Salon can best be described as laid back, open, airy and fun. The authentic wood floors and moldings add historic charm and most, if not all, of the stylists there have loyal followings. In talking to people about their favorite stylists in town, the names Jimmie, Paul, Sue and Lauren were offered up more than a few times. The Warehouse is an Aveda Concept salon, offering an extensive array of hair services from cuts, styles, conditioning and blow-outs to an impressive selection of coloring options. Visit their Facebook page or website to learn more. 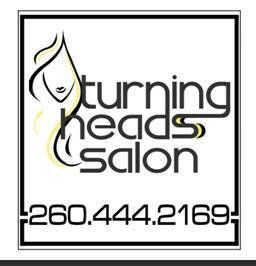 Turning Heads Salon is located on the north side of town. The salon is relatively new, but already has regular clientele. From their website: Turning Heads is a unique, ultra-modern, fun salon! We offer color specialists with extensive knowledge to help you choose a color that best suits you, to correct a color that you are unhappy with or suggest something that is funky and fun. We are a creative group that also would love to style your wedding or special occasion, whether it&apos;s just you or a large group! 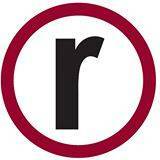 Rudae’s is not your typical salon. In fact, it’s not a salon at all, but an accredited college of cosmetology. It’s where you go in the Fort Wayne area if you want to learn how to be a stylist. Rudae’s offers a whole range of services for less than you would pay at a traditional salon, because their stylists-in-training get hands-on training with the customers. Call Rudae’s directly to inquire about prices and appointment availability. 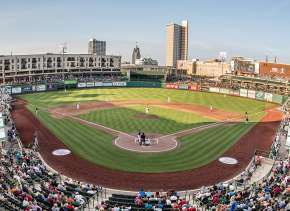 In northwest Fort Wayne, The Forum is where it’s at. I spoke to several devotees of this full-service spa. Not only do they do hair, they also offer nail care, skin treatments, massage therapy and a variety of spa packages; you can even create your own spa package. 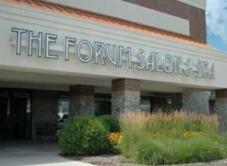 From their website: The Forum Salon & Day Spa, the first original day spa in Fort Wayne, is a full service salon featuring a highly skilled and certified staff, specializing in personalized service. Whether you desire hair design, waxing, skin and body treatments, nail care, or a rejuvenating massage, your comfort and complete satisfaction is our top priority. Charles’ Hair Today has been in business since 1965, and is the self-proclaimed leading Goldwell color salon in northern Indiana. Located on the southwest side of town, this salon offers everything from cuts, colors, styling and waxing to manicures, pedicures and Keratin smoothing treatments. From their Facebook page: We have stylists that specialize in every age from teens to seniors and who are accomplished in classic professional designs to haute&apos; coiffure. 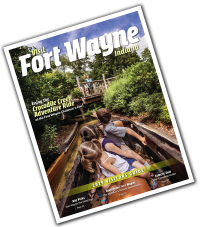 We are truly, "Where Fort Wayne goes for color!" 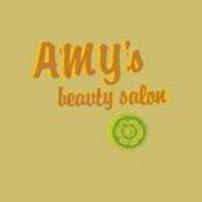 Amy’s Beauty Salon is located over on the west side of town and is perfect for someone looking for a more intimate experience. Amy’s may not be as big as some of the other salons on this list, but her clients are many and devoted. From Amy’s Facebook page: I am a private studio salon. I work by appointment only. I use natural hair and skin care for you and the environment. “It&apos;s a one-woman operation. She always asks whether you liked what she did last time. 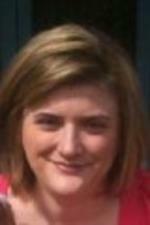 She&apos;s a certified esthetician, and she&apos;s not a gossip!" said one very enthusiastic client. Expectations Salon & Spa, located behind the Northcrest Shopping Center, has a vibrant atmosphere and offers tons of services. From their website: Expectations has become the area&apos;s premiere salon by providing exceptional services for over 15 years. The staff is well versed in current style trends from the latest colors to the latest styles. At Expectations, we strive for the attention to detail. Along with an extensive menu of hair and nail services, Expectations is your destination for a full line of spa treatments. Check out their website and Facebook page for more detailed info. The Loft is a Redken/Pureology salon/spa on the north side of Fort Wayne. Really, doesn’t this sound amazing? 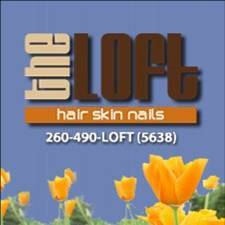 From their website: The Loft [has a] unique concept of providing their guests with an uplifting experience and a place where they receive professional service, in a fun atmosphere, filled with laughter, where they can relax and enjoy themselves. Find out more from their Facebook page and website. Offering free consultations, this salon provides everything from cuts, styles, conditioning treatments, color and texturing to facial waxing, manicures and pedicures. Find out more from their Facebook page or website. Real men go to the spa. 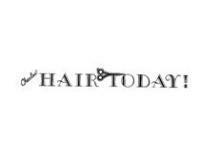 So says Southwest Hair & Day Spa! That’s one unique aspect of this southwest Fort Wayne salon. In fact, you can read a Journal Gazette article about the salon’s men’s services here. 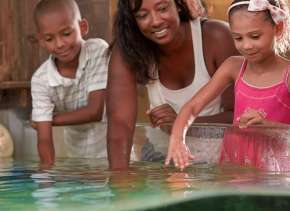 Other offerings include a full-service day spa and full-service body care spa. And of course hair cuts, styles, color and more. 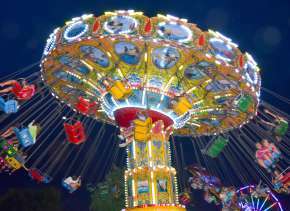 “Love it, always professional and fun. I always leave looking like they did the work and put the finish touches on,” says a client. Also- Southwest Hair & Day Spa was voted the No. 1 Hair Salon in Fort Wayne in the 2012 Fort Wayne Magazine Readers’ Choice Best of Awards! Whether you live in town and need a new "do" or are visiting and just want to be pampered, there is no shortage of great salons ready and willing to make you look, and feel, great!